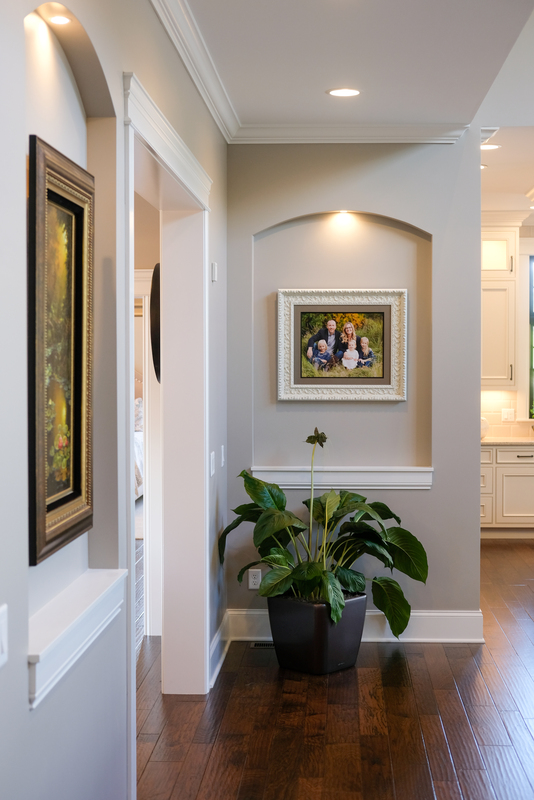 Gracious and grand … nestled at the end of a cul-de-sac with every detail meticulously chosen, this home is a testament to perfection in design and craftsmanship. 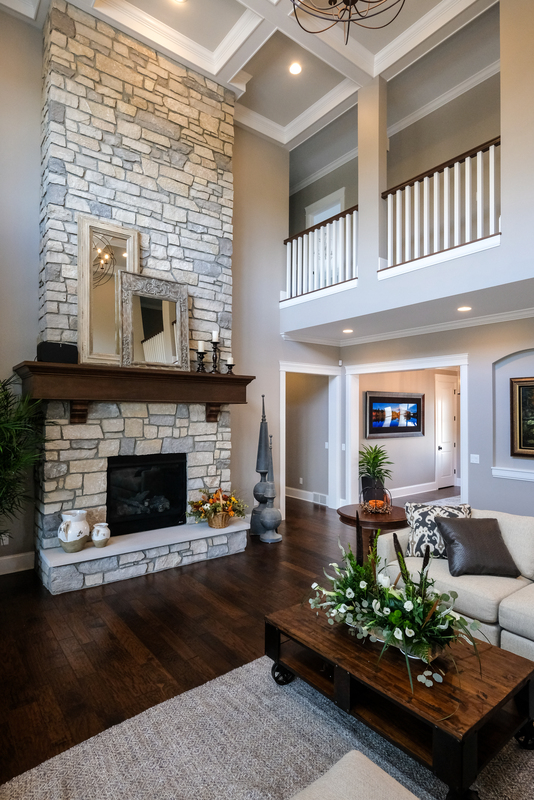 The grand foyer of this home is open and airy, but still as warm and inviting as your dearest friend. 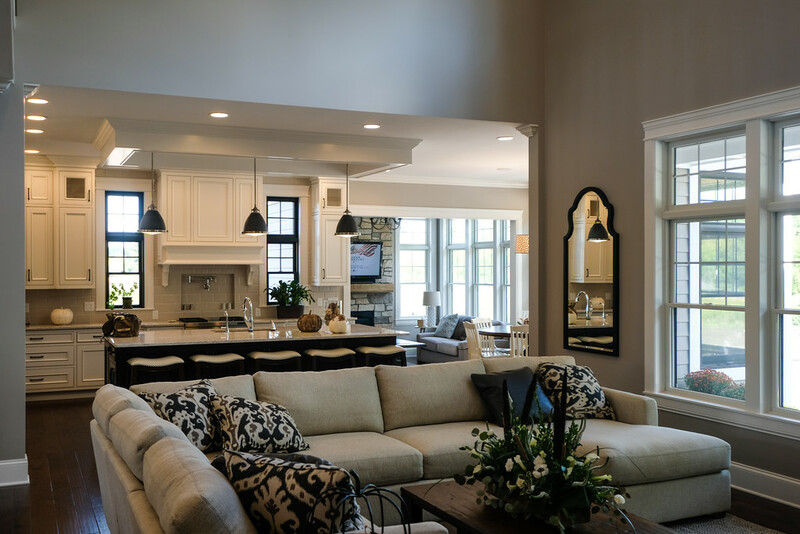 The great room lives up to its name. 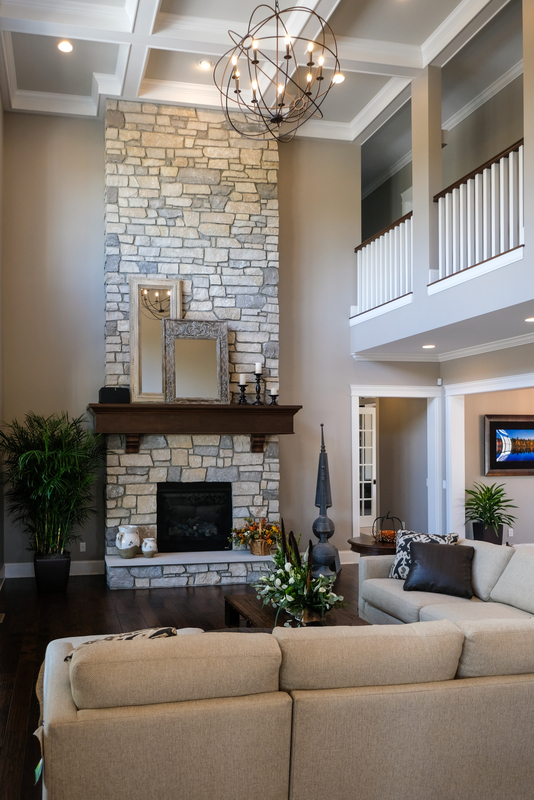 An inspiring floor-to-ceiling fireplace extends 19′ from gleaming hardwood floors to an impressive coffered ceiling. 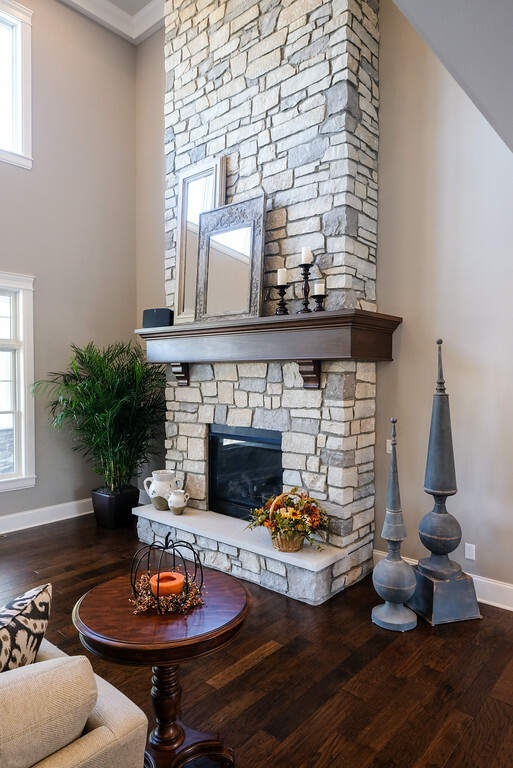 A true barn wood beam mantle completes the breathtaking room. 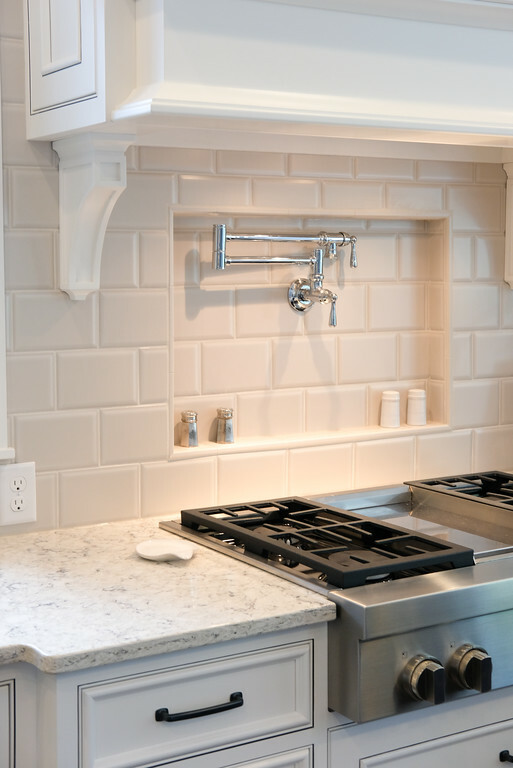 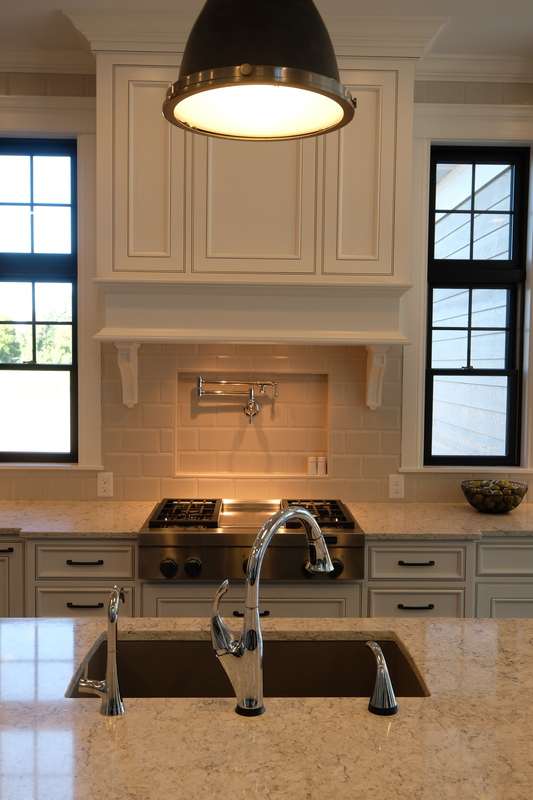 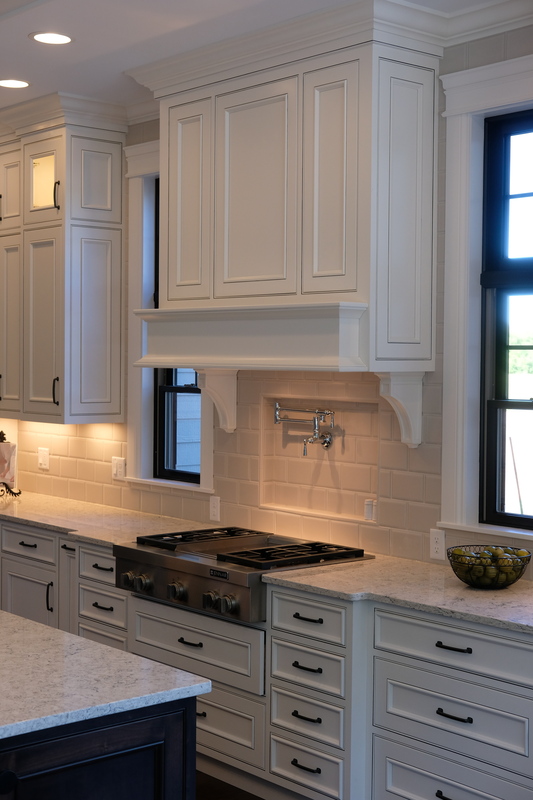 The beauty of true craftsmanship shines in this dream kitchen. 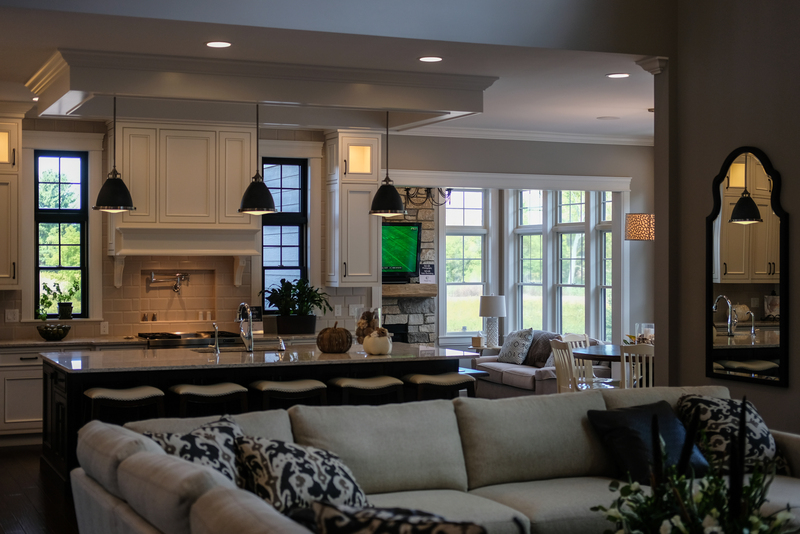 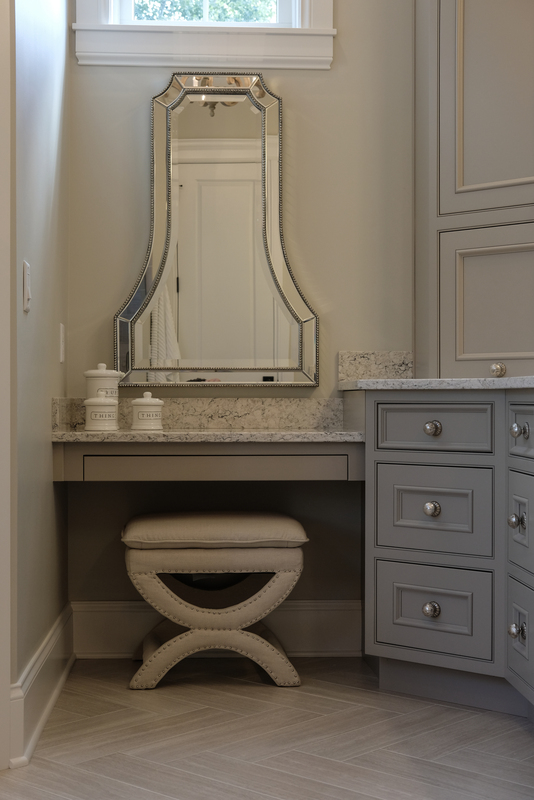 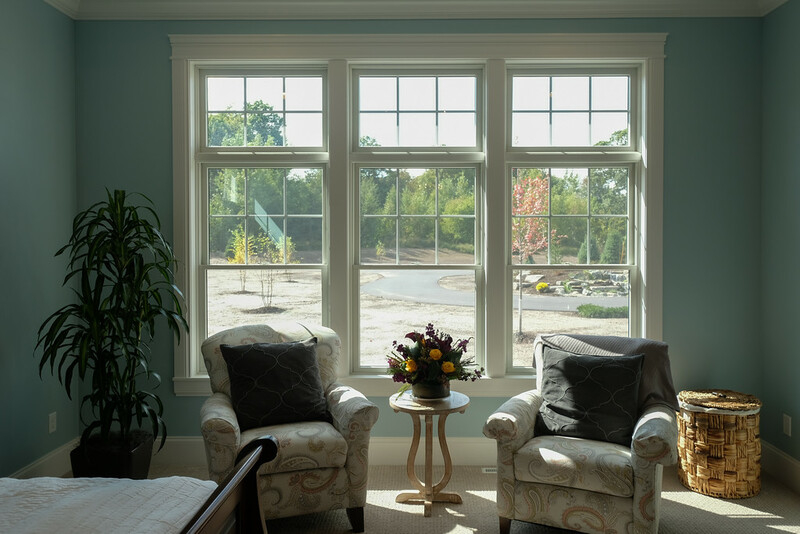 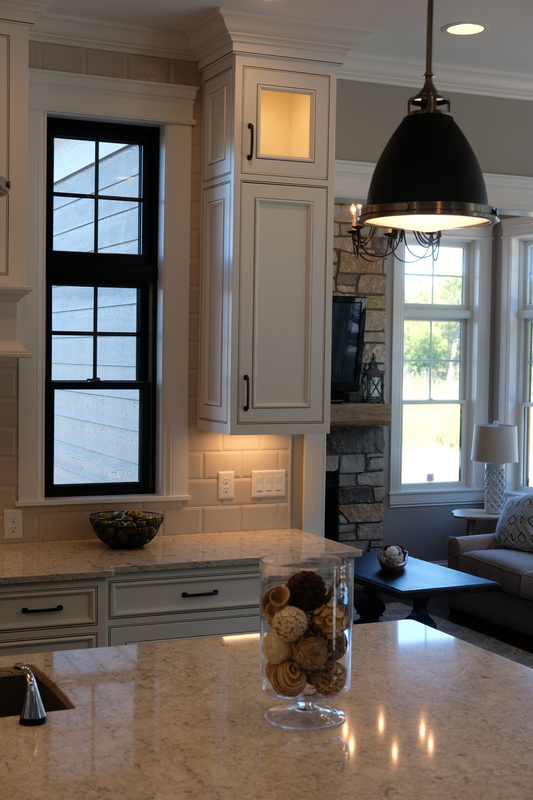 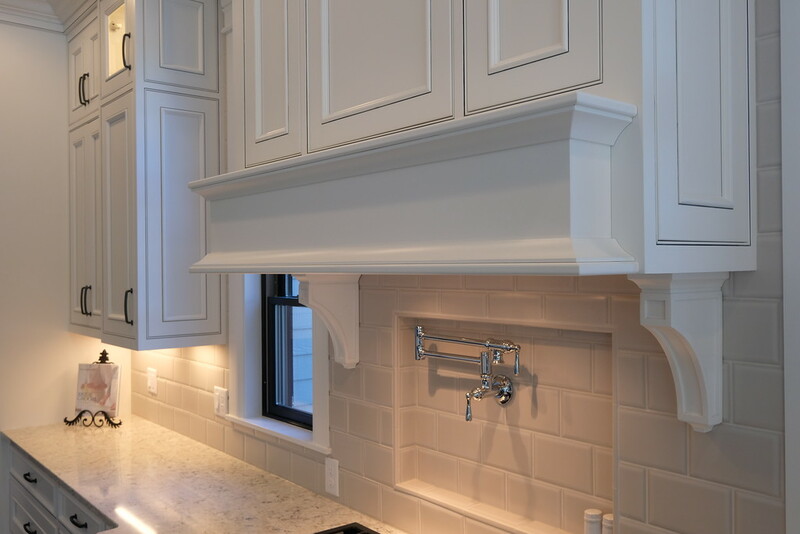 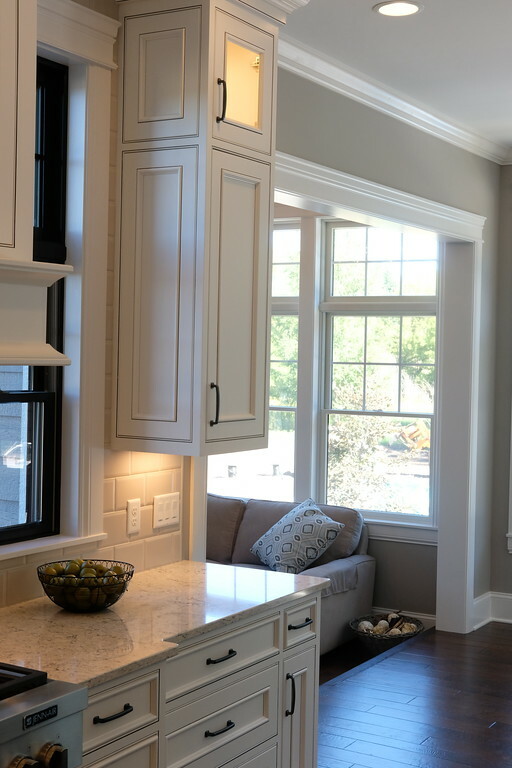 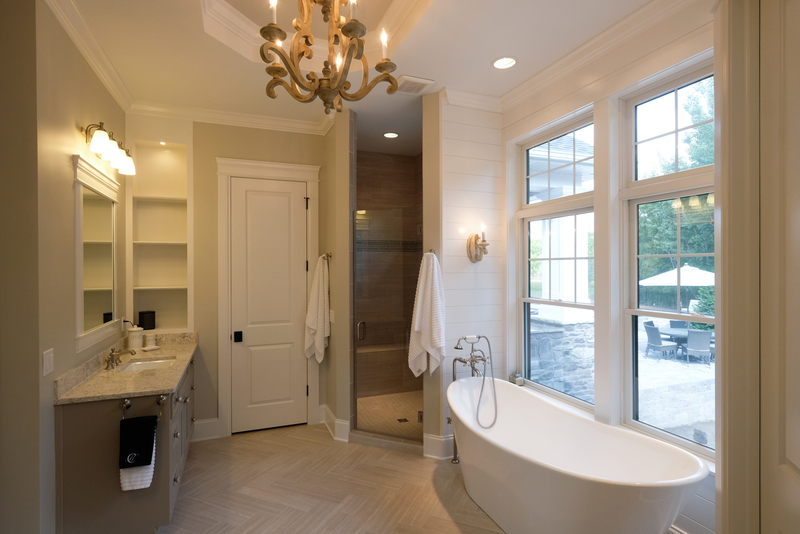 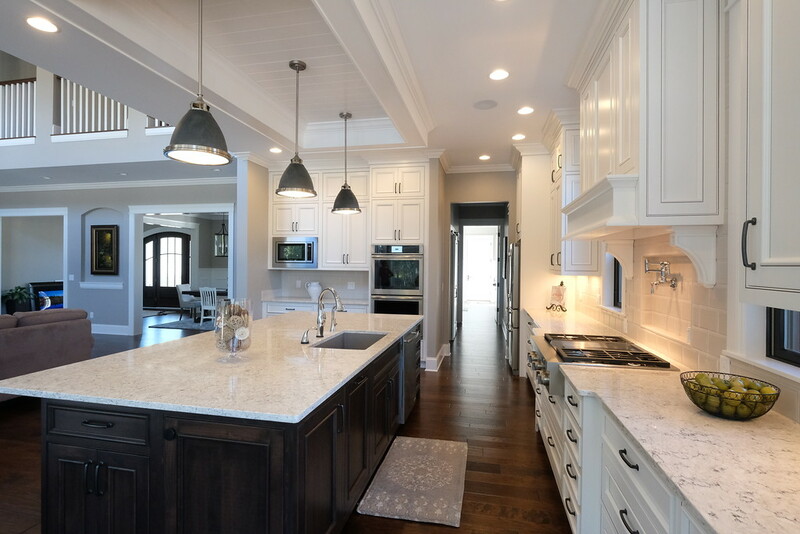 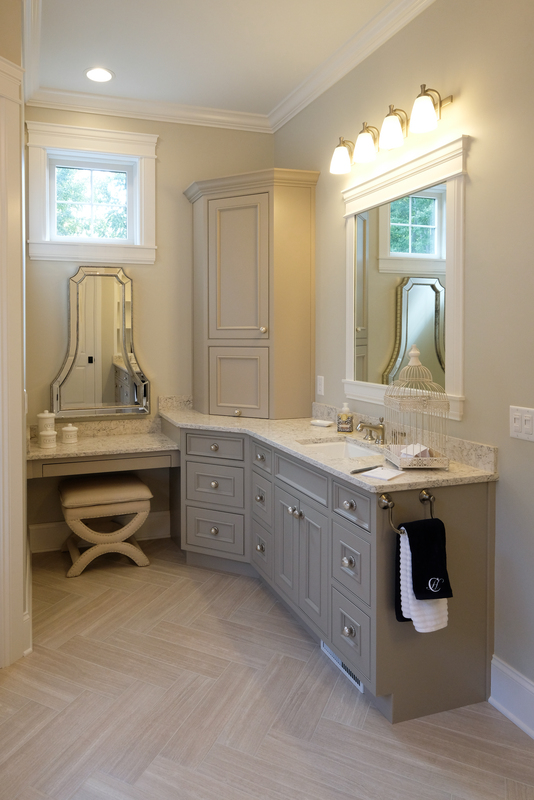 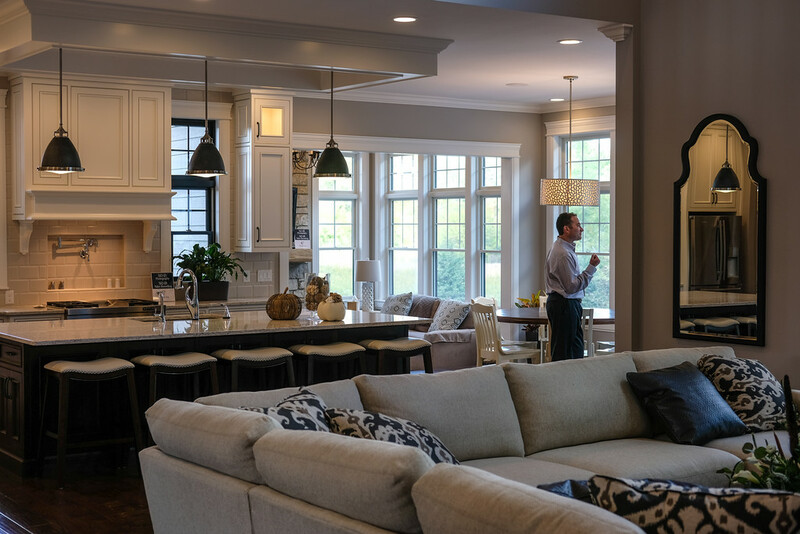 You’ll love Cobblestone’s own completely custom wood cabinetry with full inset doors. 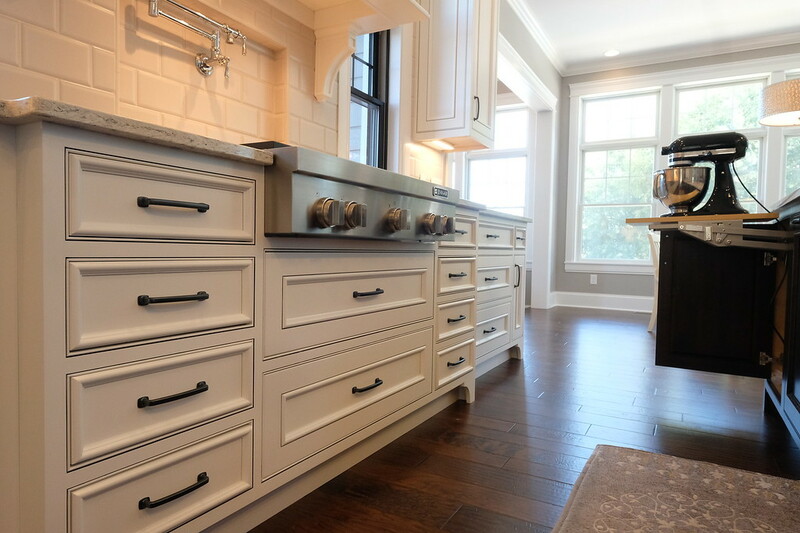 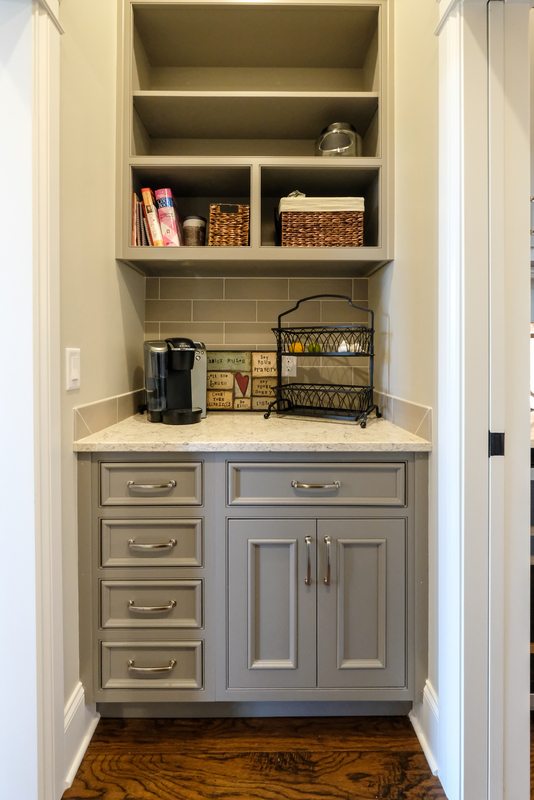 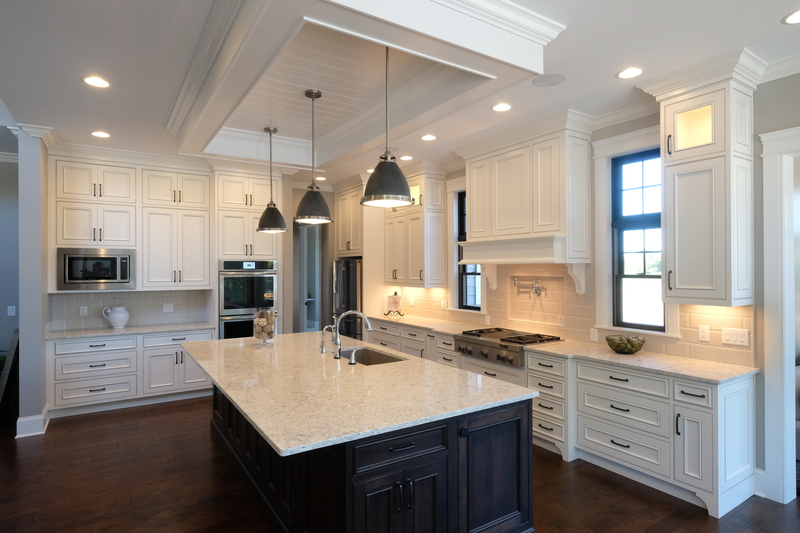 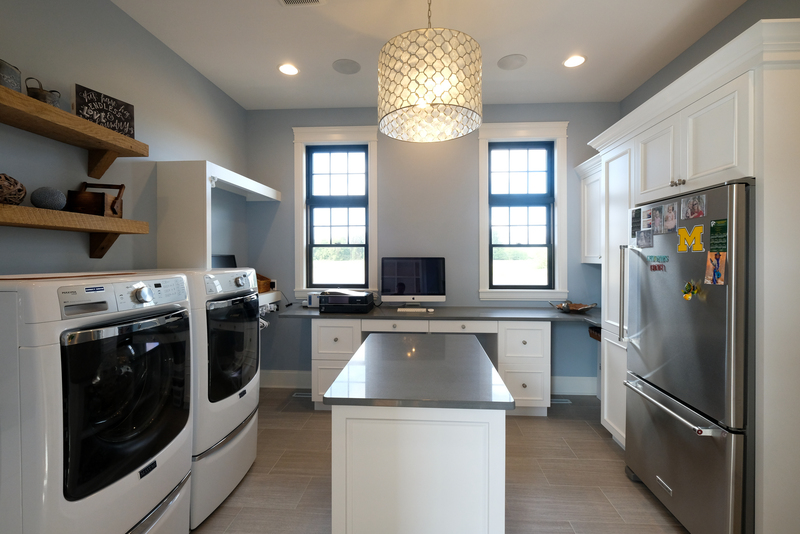 The soft cream cabinets with their warm glaze play beautifully off the rich Adler wood island. This kitchen will be the setting of countless heartwarming memories. 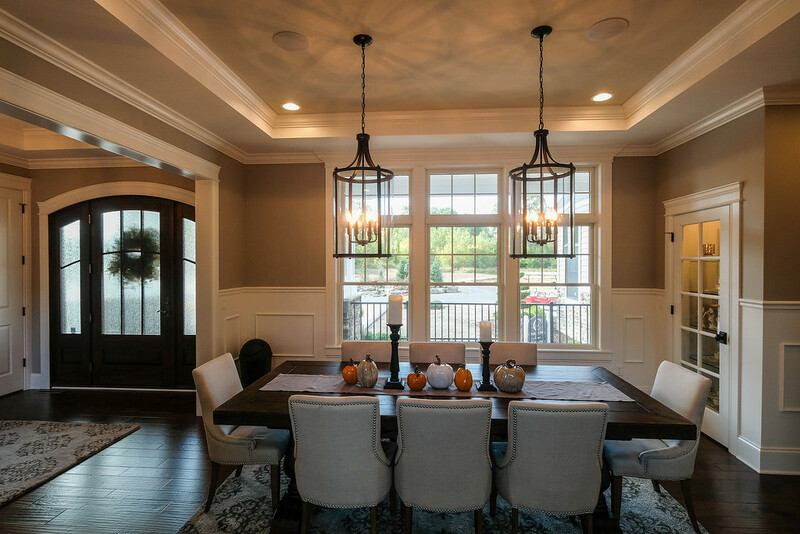 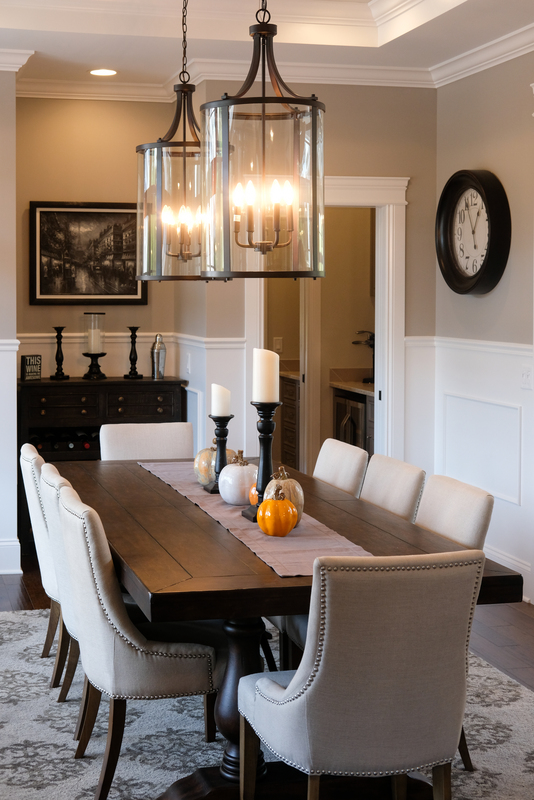 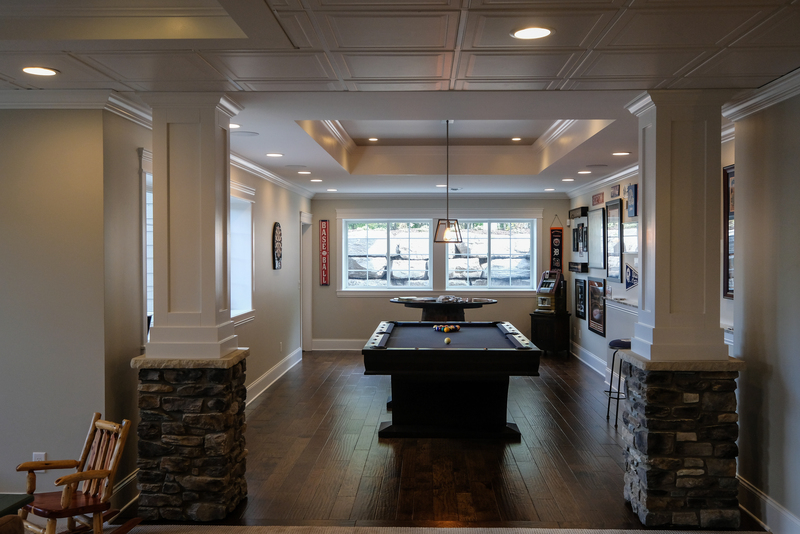 Step down into the Hearth Room, adorned with a stone fireplace and stained, coffered 10′ ceiling dressed in shiplap, it’s easy to picture your family enjoying countless, relaxing hours here. 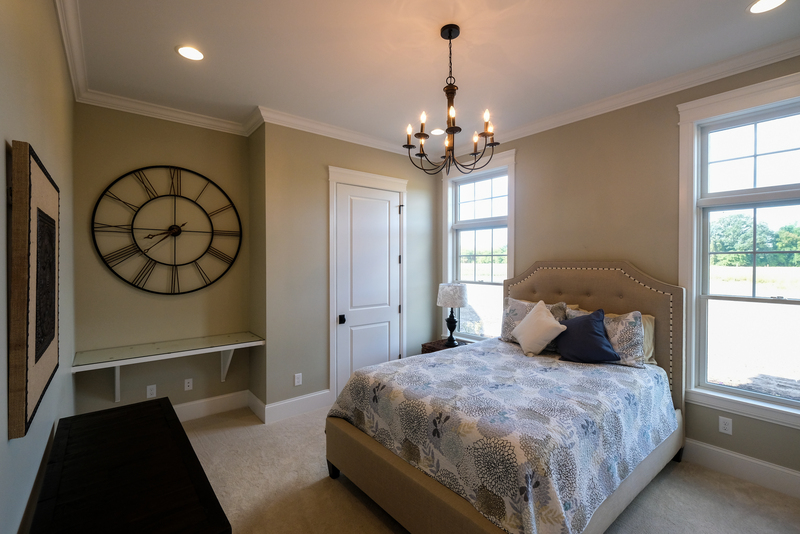 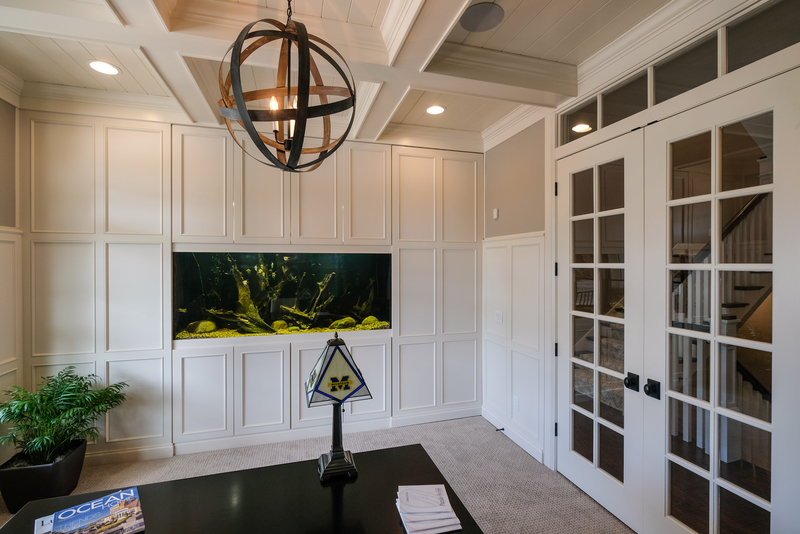 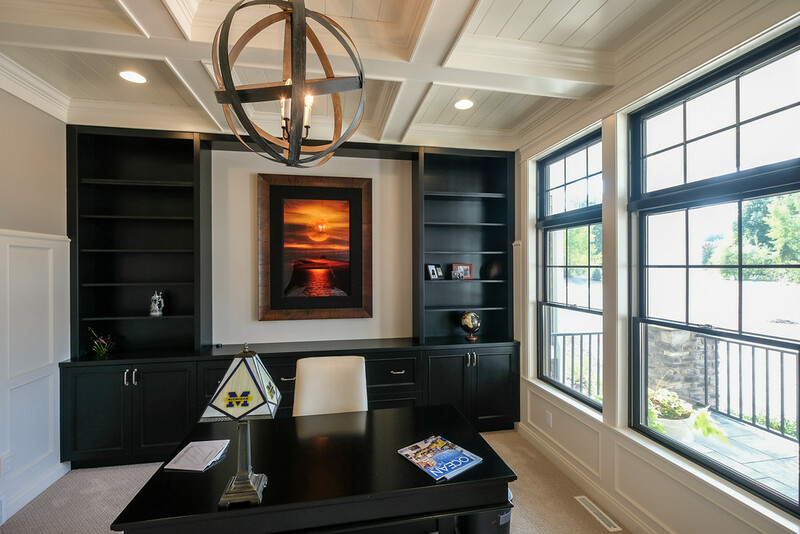 As you wind your way to the front of the home and the amazing master suite, don’t miss the den with its rich, built-ins, coffered ceiling, and custom, 300-gallon aquarium. 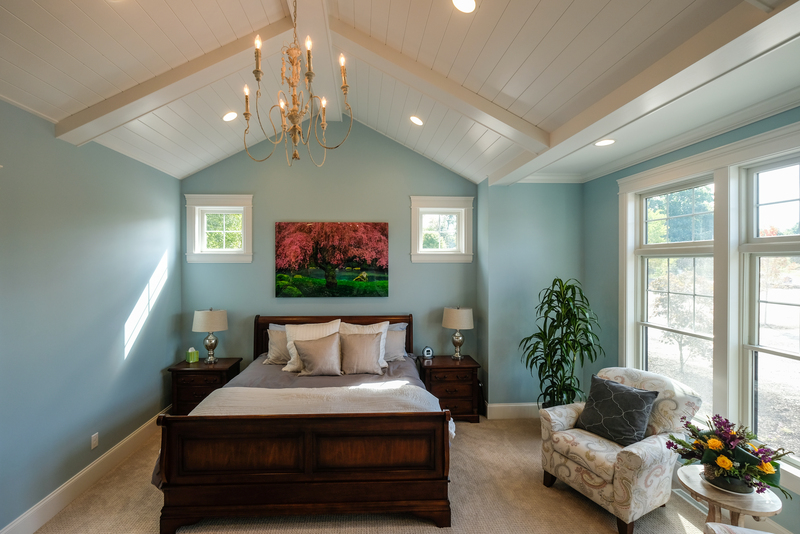 The warm and luxurious master suite would be perfectly at ease on the pages of an interior design magazine highlighting traditional homes. 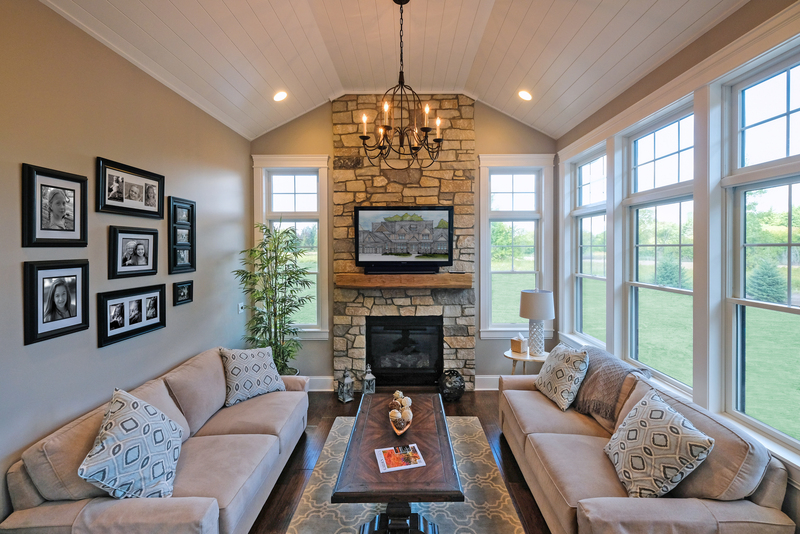 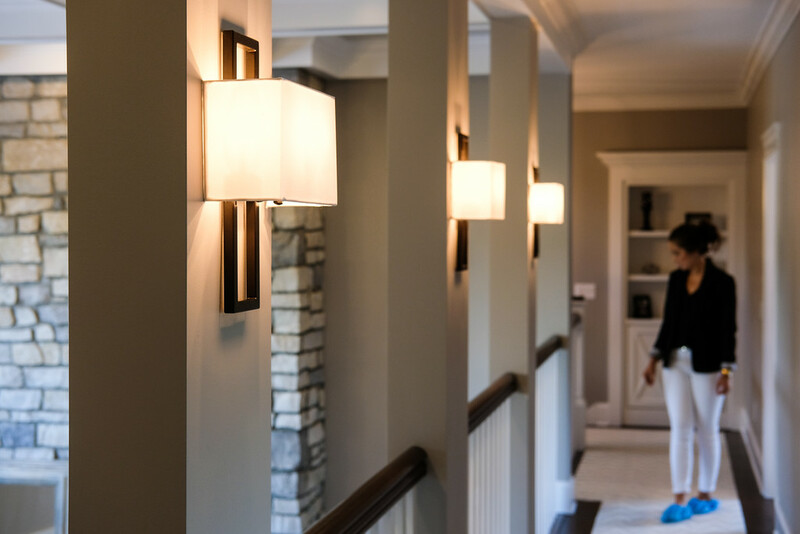 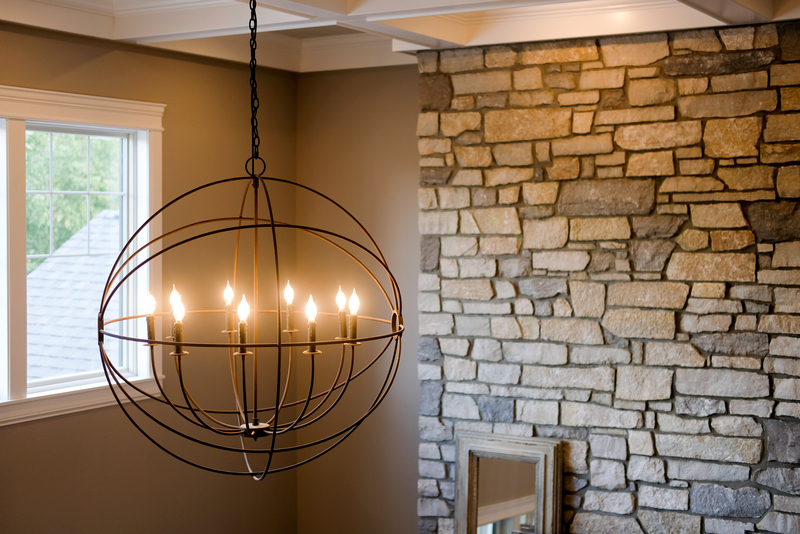 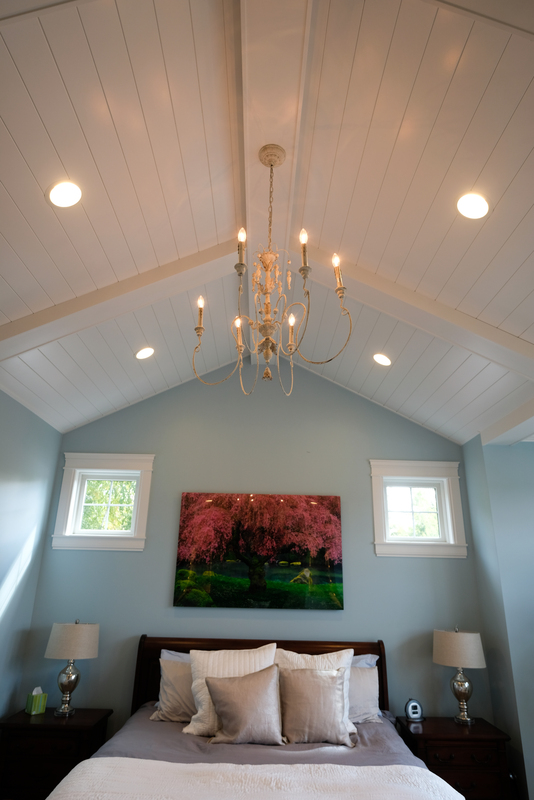 From the shiplap ceiling and stone fireplace to his and hers custom closets and the 200-square-foot master bath, there’s not a more beautiful place to begin and end your day. Upstairs, you’ll find three more ensuites and a play/homework room that might make homework just a little less painful. 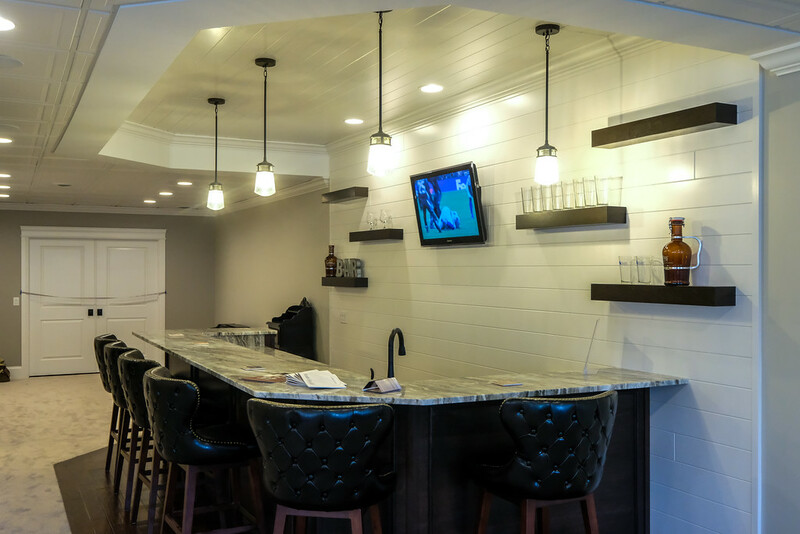 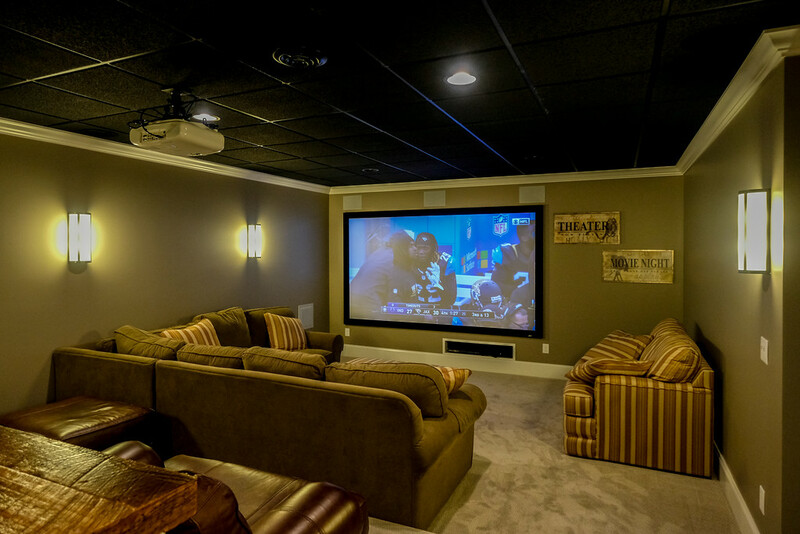 If entertaining is what you had in mind, then the 2,170-square-foot finished basement with a custom bar and theater room might be exactly what you need.